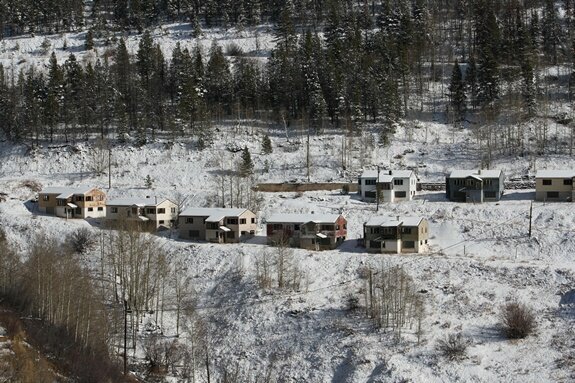 Gilman is Colorado's most recent ghost town. When I was born, hundreds of people lived here. 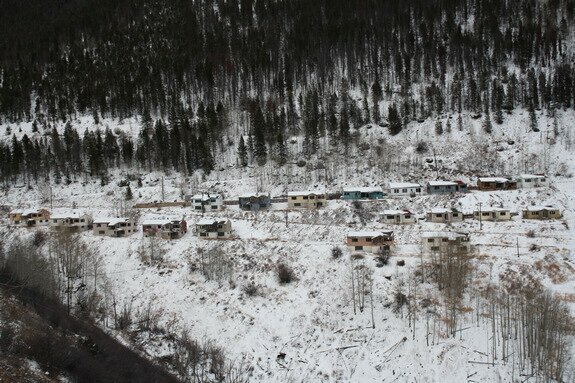 Due to an "EPA" buyout in 1984, the town became deserted. It is off limits, but has a really weird vibe. Even vehicles remain in place, as they were left 25 years ago. Displaying Gilman photography page 1 out of 3. Date Taken: 2009:12:04 17:17:49 Want to use this image? See the More information tab. Date Taken: 2009:12:04 17:18:02 Want to use this image? See the More information tab. Date Taken: 2009:12:04 17:18:16 Want to use this image? See the More information tab. Date Taken: 2009:12:04 17:18:28 Want to use this image? See the More information tab. Date Taken: 2009:12:04 17:18:36 Want to use this image? See the More information tab. Date Taken: 2009:12:04 17:19:41 Want to use this image? See the More information tab. Date Taken: 2009:12:04 17:20:14 Want to use this image? See the More information tab. Date Taken: 2009:12:04 17:20:30 Want to use this image? See the More information tab. Date Taken: 2010:11:11 13:54:39 Want to use this image? See the More information tab. Date Taken: 2010:11:11 13:55:31 Want to use this image? See the More information tab.